Might we interest you in two slightly used planes previously owned by The King? 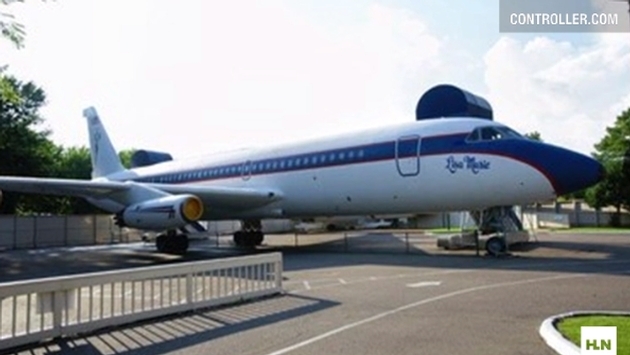 CNN’s Alan Duke reports two planes once owned by Elvis Presley are being sold, giving one buyer access to cabins that aren’t entirely unlike time machines. And you heard right, because buying the planes doesn’t mean you will actually fly in them, so you might be better off burning a pile of money and daydreaming about reliving Presley’s glory days. Perhaps indulge in a peanut butter, banana and bacon sandwich while you’re at it. Now the big issue is whether any potential sale puts the planes in danger of leaving the beloved Graceland tour. So really, the sale may be much ado about cunning negotiations—at least that’s what words from Priscilla Presley seem to suggest. I see your posts about the planes. Please calm down, we're in the midst of negotiations. It's as simple as that. Thank you. The hope is the planes continue welcoming Graceland visitors as they have since 1984, illustrating to millions the obvious perks to being a rock icon: a couple of planes that look like a Las Vegas hotel room on the inside.